Digital retailer and entertainment giant Amazon is getting into the auto business. Electric truck and SUV startup Rivian said it has a deal for an equity investment round of $700 million led by Amazon. 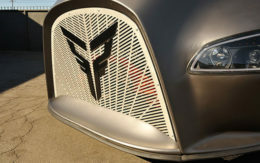 The Plymouth, Mich., company is raising funds to complete development and launch production of the all-electric R1T pickup truck and R1S SUV it unveiled at the Los Angeles Auto Show in November. Analysts said it was a major step forward for the company. “It’s a huge commitment and could make the difference between a plucky startup and a legitimate business that could succeed,” said Mike Ramsey, senior research director, automotive and smart mobility at Gartner Inc.
“The investment reflects investor confidence in Rivian’s opportunities and will be a massive benefit for Rivian’s forward progress,” said Stephanie Brinley, an analyst at IHS Markit. The fledgling electric vehicle company is starting to line up a blue chip roster of investors. One major backer is the investment arm of Abdul Latif Jameel IPR Co. Ltd., a Saudi Arabian conglomerate whose holdings include a major Toyota car and truck distributorship. ALJ provided $500 million in backing, Rivian founder R.J. Scaringe told Trucks.com in an interview last year. Sumitomo Corp. also has invested in Rivian, he said. General Motors, which Reuters reported earlier this week was eyeing an investment in Rivian, was not named as part of the Amazon funding deal. “Beyond simply eliminating compromises that exist around performance, capability and efficiency, we are working to drive innovation across the entire customer experience. Delivering on this vision requires the right partners,” he said. Pickup trucks and large SUVs are among the most profitable segment of the U.S. auto market, according to Adam Jonas, an analyst with Morgan Stanley Research. Americans purchased almost 3 million pickup trucks last year. They accounted for almost 12 percent of the market. But none were electric. Workhorse Group, another startup, is working on developing an electric pickup. Ford Motor Co. has said it plans an electric version of its F-150 pickup truck. A Trucks.com spy photographer caught shots of the vehicle undergoing tests near Ford’s Dearborn, Mich., headquarters earlier this year. Both Tesla and startup Bollinger Motors have e-pickups in the works. “We believe the next and potentially imminent major product frontier for EVs will be the highly lucrative and U.S.-dominated pickup truck market. A culmination of battery cost reduction, architecture, duty cycle, and price point; e-pickups are an important area of investor focus,” Jonas wrote in a recent report to investors. Amazon has become interested in the auto business and recently invested in autonomous driving startup Aurora. Rivian’s technology could represent a potential opportunity for Amazon to shape electric delivery vehicles to support its own logistics effort, Jonas said. “Amazon is showing that it is tired of waiting on the sidelines and is now pushing toward being a vertically-integrated logistics giant,” Ramsey said. Rivian will produce the vehicles on what it calls its flexible skateboard platform at a factory in Normal, Ill. It has talked about selling the platform and other technology to other customers for other uses. Rivian’s target market, at least initially, is the upscale outdoor recreational and adventure markets. Think Land Rover gone electric. Scaringe said he wants to become “the Patagonia” of the auto industry. The crew cab R1T pickup boasts an 11,000-pound tow rating and cargo capacity of 1,760 pounds, according to Rivian. The truck will have as much as 753 horsepower and 826 pound-feet of torque. The vehicle will have four independent electric motors – one for each axle. Acceleration is as quick as 3 seconds from 0 to 60 mph for the top-of-the-line model. The top-trim version will offer up to 400 miles of range from a 180-kWh battery. Rivian said its target base is $69,000 before incentives. The truck is scheduled to begin production late next year.